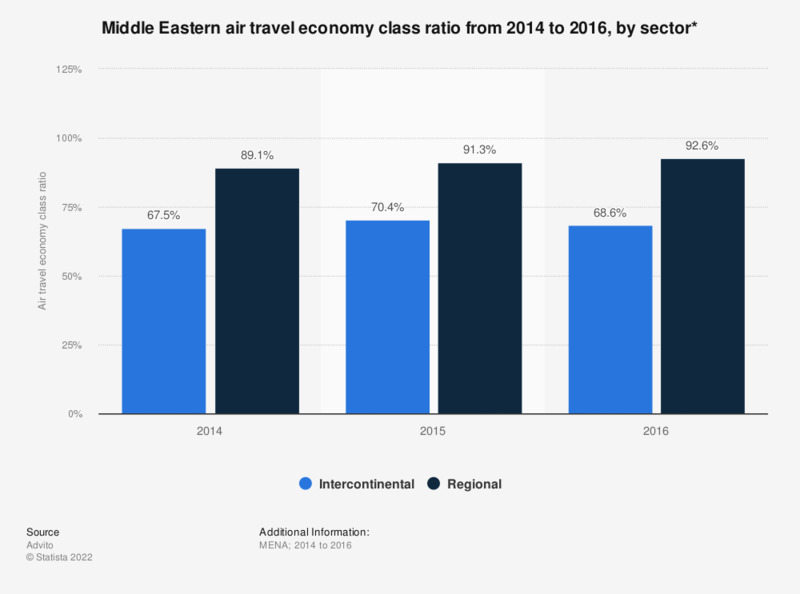 This statistic shows the economy class ratio in Middle Eastern air travel from 2014 to 2016, broken down by sector. In 2016, 68.6 percent of airline passengers opted for economy class in Middle Eastern international air travel. Statistics on "Tourism industry of the United Arab Emirates"